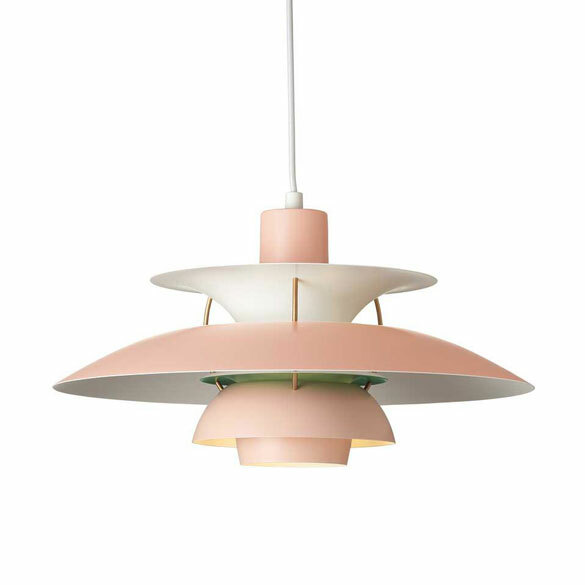 The classic PH5 lamp designed by Poul Henningsen for Louis Poulsen in 1958 now comes in five new colors. Louis Poulsen is now launching a completely new and different colour range for the design icon – PH 5 – matching contemporary hues and trends. 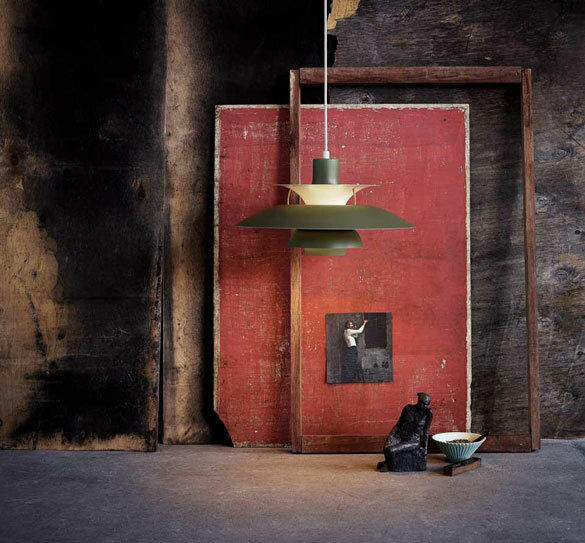 Its ability to adapt to all types of interiors remains unique but the new colour range makes the role of the lighting in the overall interior design more pronounced. 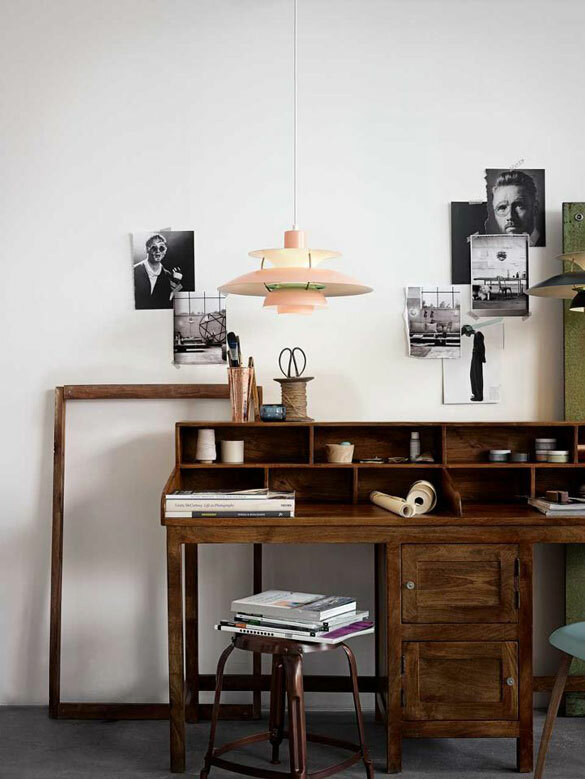 The PH 5 Lamp is one of Poul Henningsen’s most recognizable lighting designs. He developed the PH 5 in 1958 in response to constant changes to the shape and size of incandescent bulbs by bulb manufacturers. 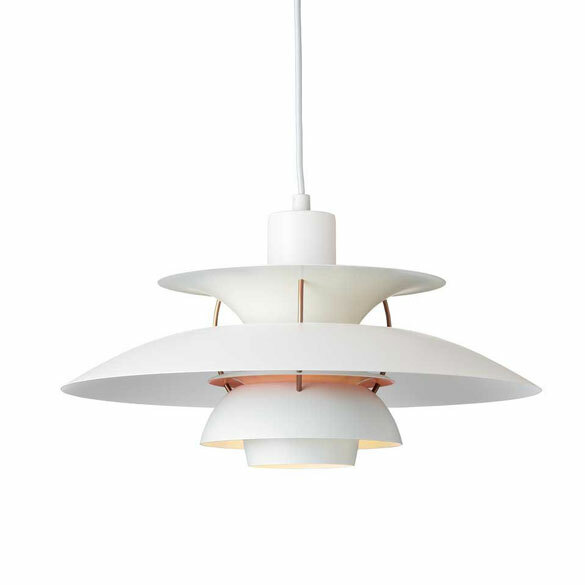 It gets its name from the diameter of its top shade: 5 refers to 5 dm=50 cm. It was designed with three reflecting shades, a cone and two smaller colored shades that improve the PH 5 light’s color-rendering properties. 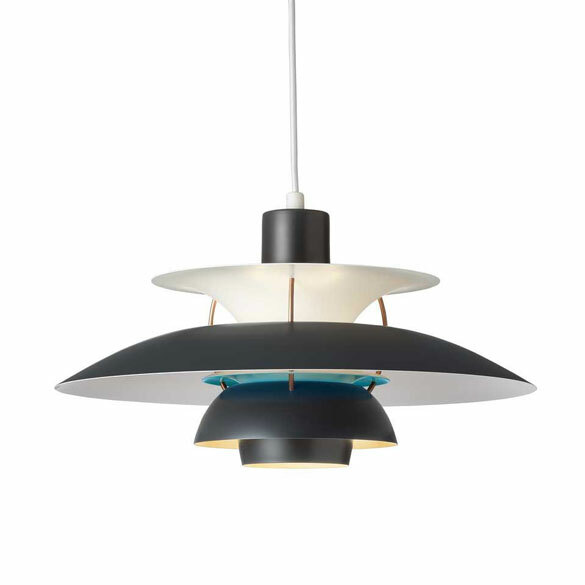 Click here to read more about this design classic.